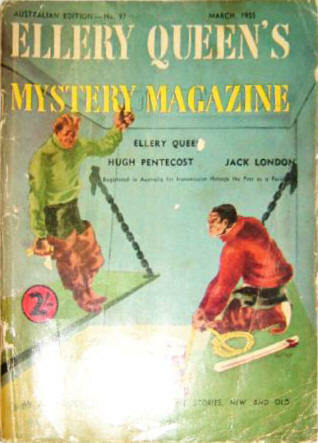 Partial reprint of the January 1955 (US) issue, plus a single story each from the June 1951 and November 1954 (US) issues. Details taken from Table of Contents. 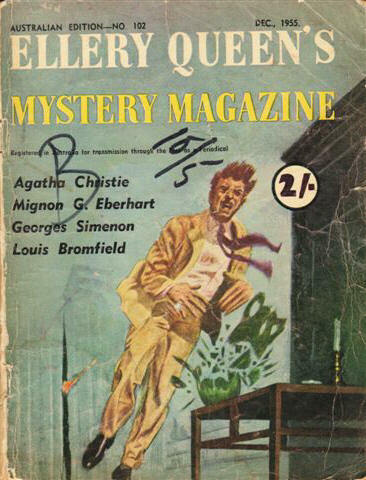 Partial reprint of the April 1955 (US) issue. Details taken from Table of Contents. 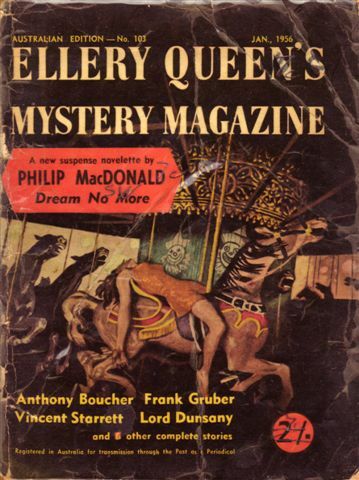 Partial reprint of the May 1955 (US) issue. Details taken from Table of Contents. 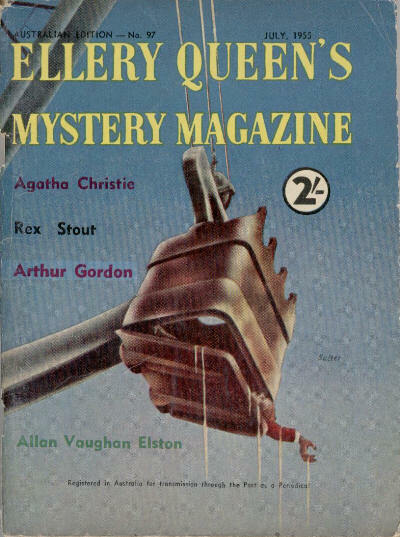 Partial reprint of the July 1955 (US) issue, plus a single story each from the October 1947 and April 1955 (US) issues. Details taken from Table of Contents. 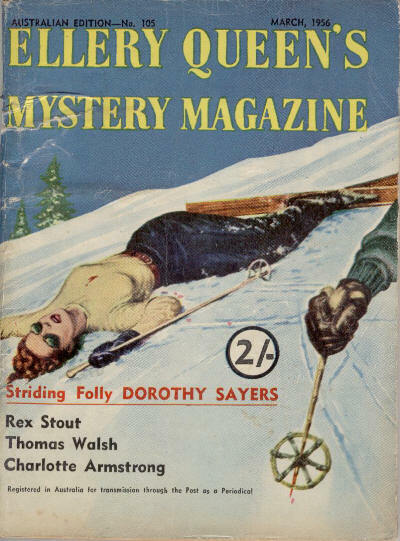 79 · Blue Murder [Don Free] · Raoul Whitfield · nv Black Mask Sep 1932; not the same as the story of the same name in the July 1928 issue. 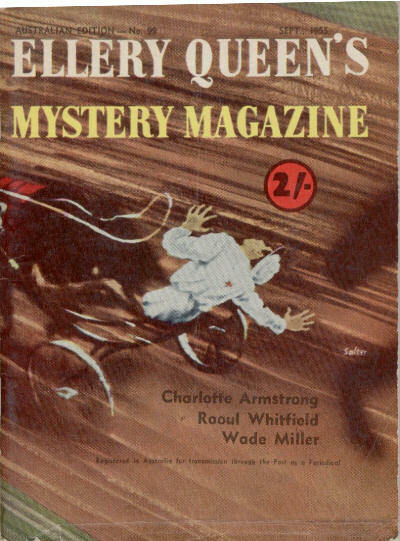 Partial reprint of the August 1955 (US) issue, plus a single story from the February 1947 (US) issue. Details taken from Table of Contents. 53 · The Mysterious Mansion · Honoré de Balzac; translated by Ellen Marriage & Clara Bell · ss Shorter Stories from Balzac, Walter Scott 1890, as An Accursed House; translated from the French (La Grande Bretèche, Contes Brun, 1831). 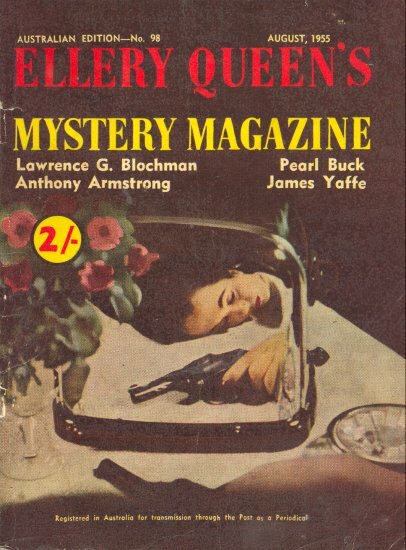 Partial reprint of the September 1955 (US) issue, plus a single story from the November 1954 (US) issue. Details taken from Table of Contents. 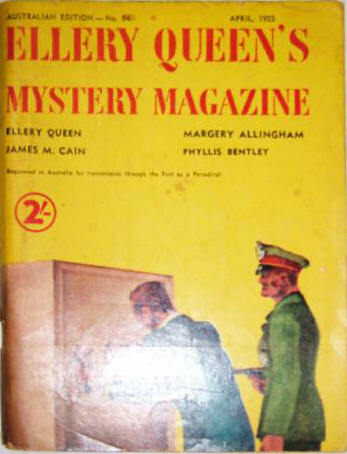 95 · A Very Odd Case Indeed [John Appleby] · Michael Innes · vi Ellery Queens Mystery Magazine Sep 1955; probably first published in The (London) Evening Standard. 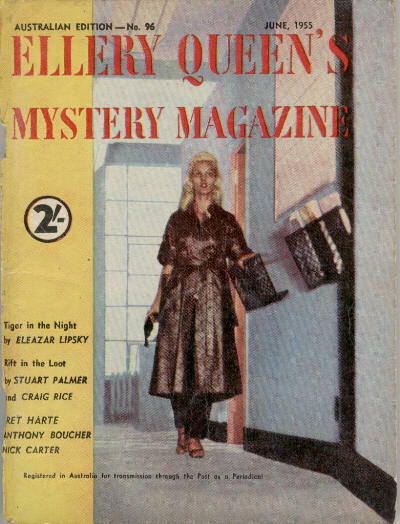 Partial reprint of the October 1955 (US) issue, plus a single story each from the April 1955 and July 1955 (US) issues. Details taken from Table of Contents. 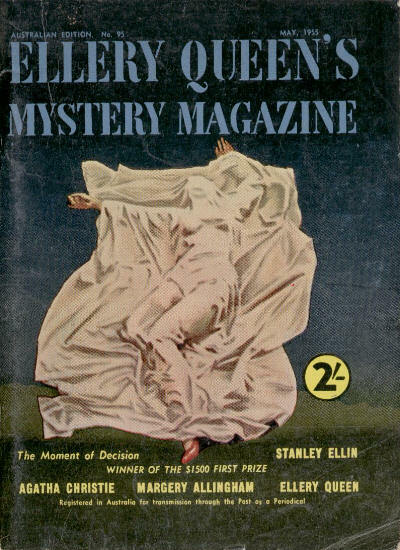 1 · The Little Doctor and the Slipper Fiend [Dr. Jean Dollent] · Georges Simenon; translated by Frances Frenaye · nv Ellery Queens Mystery Magazine Oct 1955; translated from the French (LAmoureux aus Pantoufles, Le Petit Docteur, Gallimard, 1943). 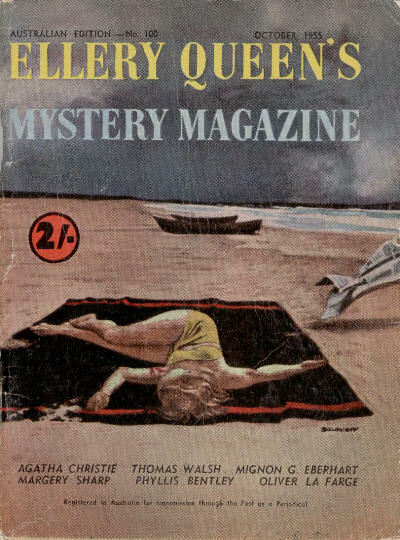 85 · Looking for a Diamond [Gervase Fen] · Edmund Crispin · ss Ellery Queens Mystery Magazine Oct 1955; probably first in The (London) Evening Standard. 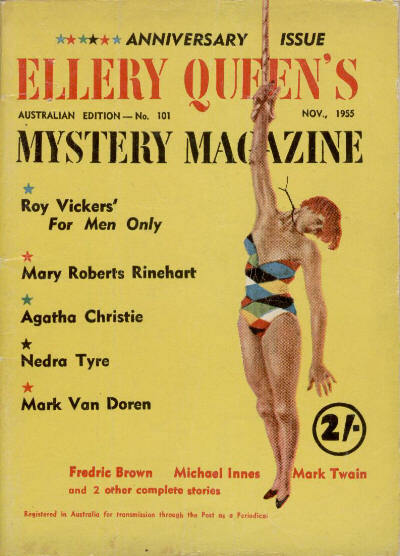 Partial reprint of the November 1955 (US) issue. Details taken from Table of Contents. 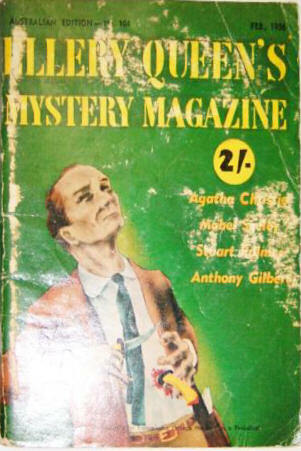 Partial reprint of the January 1956 (US) issue, plus a single story from the August 1953 (US) issue. Details taken from Table of Contents.